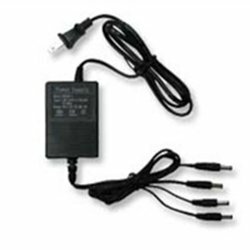 There are many options for providing power to your digital video camera security system and Security Camera King's (SCK) PWR-MINI-4 Output Switching Supply is an excellent choice. In this article, we'll take a loot at some of the issues related to powering your digital video security camera systems and examine the solutions that SCK has to offer. There are many options for providing power to your digital video camera security system and Security Camera King’s (SCK) PWR-MINI-4 Output Switching Supply is an excellent choice. 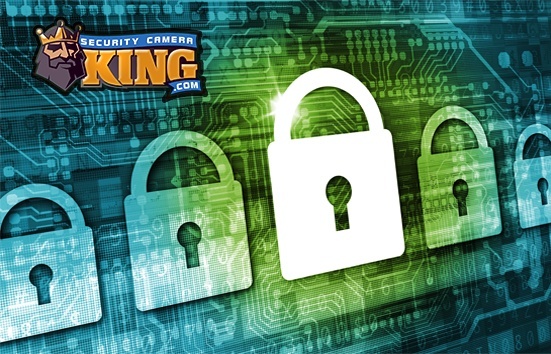 In this article, we’ll take a loot at some of the issues related to powering your digital video security camera systems and examine the solutions that SCK has to offer. Let’s start from the beginning. A typical digital video camera security system consists of cameras, a Digital Video Recorder or DVR, and a monitor. Not always, but often the monitor is located very near the DVR. Most monitors and DVRs operate from 120 Volt Alternating Current (AC) power. Assuming the monitor is located in close proximity to the DVR, providing a power supply for these two components is relatively easy. Since they both plug into an ordinary AC power outlet a surge suppressor or power strip would easily serve their needs. The cameras, however, are a different story. Most of the digital video cameras today do not operate directly from household current; there power demand is simply just not that high. That’s why a device like the PWR-MINI-4 output switching supply is needed. In fact, most digital video security cameras today usually operate on either 24 Volt AC or 12 Volt Direct Current (DC) power. So the problem is how do you get the correct power supply demands to each camera scattered all over a property and perhaps outside as well? The worst case scenario for this is providing each camera with a single plug-in power supply. This however, can be too restrictive as it may not be practical to expect to find an outdoor power outlet fixed to the pole that your driveway camera is mounted. Not only that, but before you know it things could get just a might bit complicated in the power supply department if you have a 32 camera Elite system and each camera has its own separate plug-in power supply. Battery operated cameras are fine and some may last a relatively long time between battery changes or recharge periods. But once again, if that parking lot camera is located on top of a 25 foot pole, who wants to climb it every other day, just to change the batteries? There’s got to be a better solution, and there is and of course SCK has taken care of that for you. Since each camera must have a video transmission cable (usually RG-59) run from the DVR to the camera, why not bundle the power line with the RG-59? However, in order to do this, one would need a centrally located power supply, preferably in close proximity to the DVR since the power leads will terminate in this area with the RG-59 cable. What’s the solution? In enters the PWR-Mini-4 Output Switching Supply. Of course this is not the only solution, but it certainly is one that works. You’ll note that the PWR-Mini-4 Output Switching Supply comes with SCK’s complete packaged systems with precut-and-connector terminated cables. This design makes installation even easier since the user (or installer) is not required to cut cable and apply connecters. All that is needed is for the power cable’s 2.5 mm female power plug to be attached to the power supply’s 2.5 mm male power plug. For bulk cable packaged systems, SCK offers their model number PWR-4 power distribution box instead. There is just a little bit more time and effort involved in these installations because the cables need to be cut and connectors need to be fitted. However, this provides you, the user, with a more custom designed system. Cables can be cut to exact lengths and runs over 100 feet can easily be dealt with. All that needs to be done is to attach the 2.5 mm female plug power leads to the camera end of the cable and screw the two wires down to screw terminals for each camera in the power distribution box. The key here is to use the right power supply for the job. Too little power and the camera won’t work; too much power and you could turn that $200 piece of highly complicated technical electronics into one solid melted blob. That’s why the PWR-Mini-4 Output Switching Supply is so important.